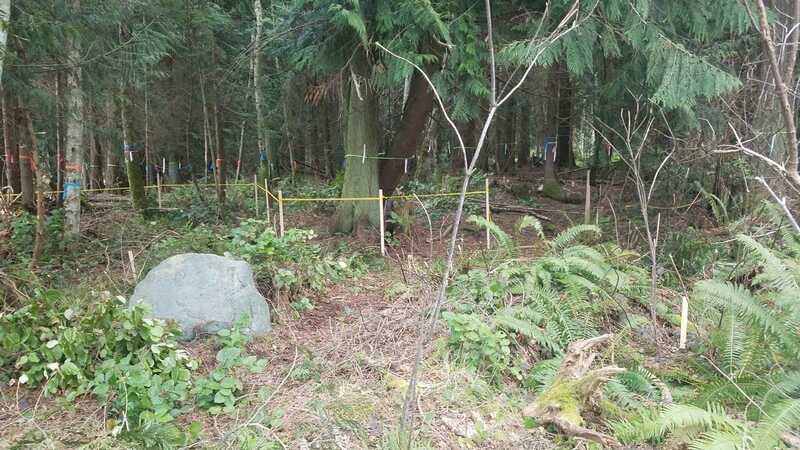 Peninsula Urban Forestry’s Certified Arborists conducted a tree inventory and developed a Tree Conservation Plan and supplemental Tree Protection Plan for a unique forested, cottage development within of Port Townsend Municipal Code. Using advanced tree preservation methods, and while working with engineer and architect, we successfully preserved a substantial number of mature conifers within the development. Our team incorporated the Forest Service’s i-Tree model to numerically quantify ecosystem services provided by the conserved trees. Air quality and water quality improvements via carbon sequestration, particulate interception, and rain/storm-water buffering were incorporated into our reports. Using credits delivered from these preserved ecosystem services, Port Townsend reduced development hurdles for our client.